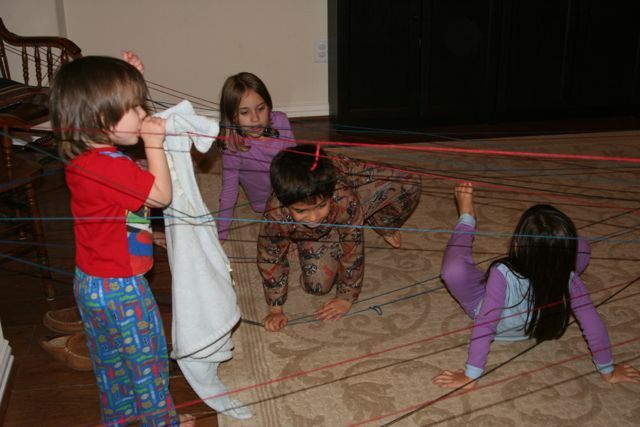 I told Isaac about this activity I saw in a magazine and he has been begging me to have friends over to do it ever since. 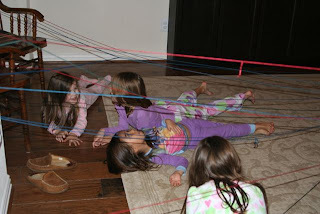 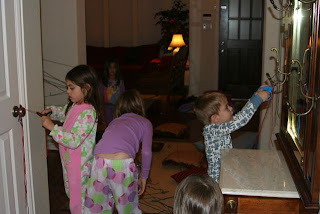 Last night was finally the night we made our Yarn Web! 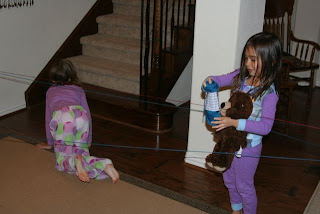 Give each pair of kids a ball of yarn ($1 each at dollar store). 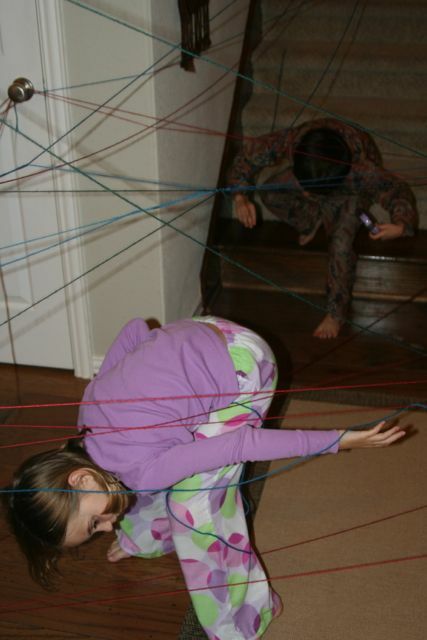 And see what kind of web they can make. 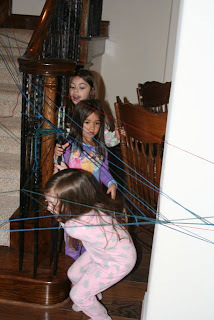 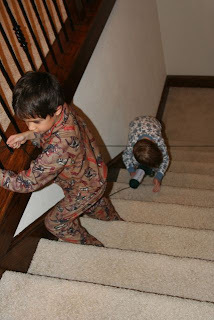 As they were building (and after) they played "spiders" and "spies." 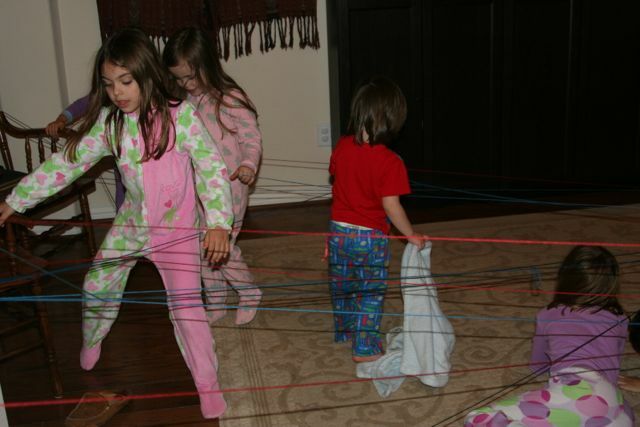 "This is the best slumber party ever!" They enjoyed the challenge of going through the tangled web. For an hour I belly-laughed on the couch, watching them get tangled up in the web, as they tried to run from Adel (the "spider"). 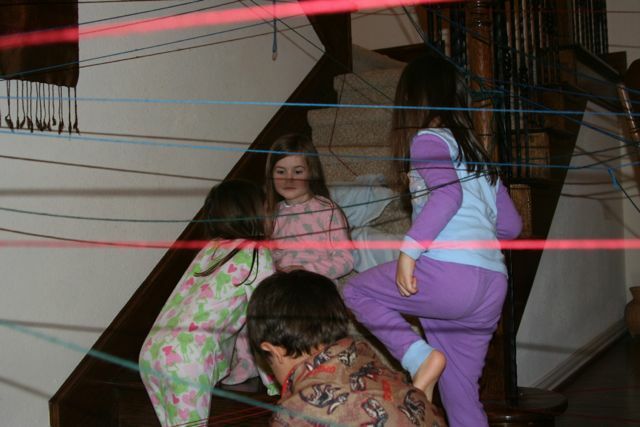 When they were done, I handed out scissors and they collected it all to see how big a ball of yarn they could make.